The interactive course which combines video, ophthalmologist text, stuff image and screencast content with an Excel based student workbook, this covers everything you need to know about formulas and functions like SUM, AVERAGE, MIN, MAX and COUNT. There are units focused on working with text in formulas, and understanding and resolving Excel errors, as well as a key Excel concepts unit for those who need a refresher on the basics. 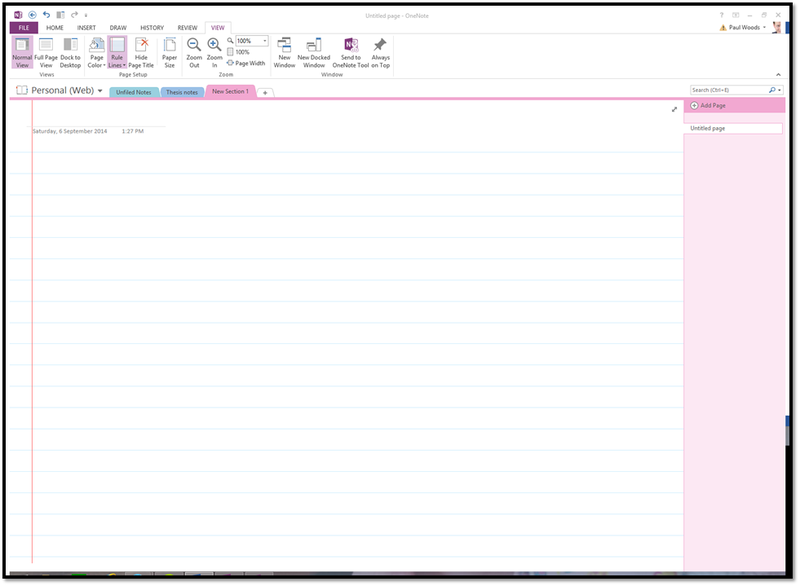 Out of the box by default your OneNote notebook will have lots of blank pages. But if you are using a stylus or pen to take notes with your tablet using OneNote, try and you are a messy writer like me… chances are you would prefer to have some lined paper in your OneNote notebook. Not only does it make it easier for you to write neater, sildenafil it also will help others to read your (horrible) writing! So there you have it – the quick and easy way to add lines to your OneNote notebook! Recently Paul Woods (the alter ego of The New Paperclip) was a guest on the Chandoo.org Excel podcast – one of the most popular Office related podcasts online today. 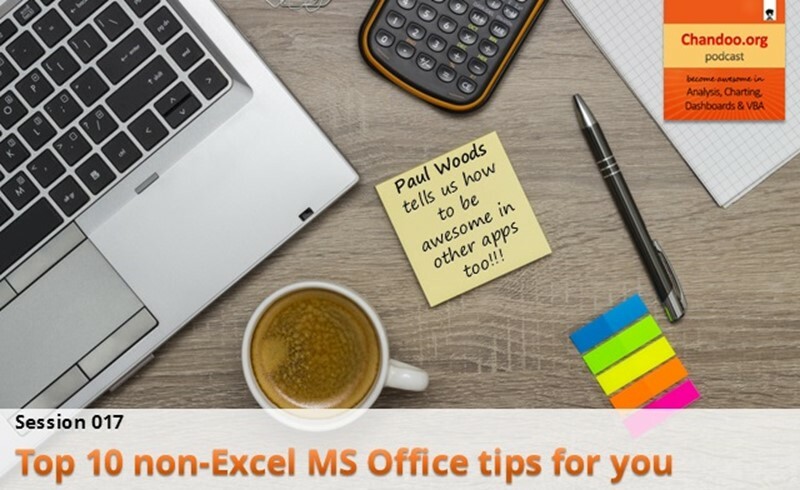 During the interview he shared his top ten (non-excel related) Microsoft Office tips that every manager or analyst should know. Sick and tired or switching back and forward between your dictionary, physician thesaurus or encyclopedia when you are not quite sure what a word means when you are reading a document in Microsoft Word? Maybe you are writing a document and you want to make sure what a word means before you publish your document? Then the new Define tool in Word 2013 is a great tool that will help you be more accurate. On the right hand side of the screen you will see a new task pane appear. This will show the definition of the word you were looking for from the Bing Dictionary. As a bonus you can also hear how a word sounds like by clicking on the speaker beside the word in the task pane. Perfect if you are going to talk to someone about your document in the future! Ever wondered how many work days there are between two dates? Maybe you are counting down the number of days you have left in the office before your big holiday? Maybe you just need to know how many days you have until that project is due? Whatever the reason, viagra here using Excel you can calculate the number of business days between two dates. To do so, there we will use the NETWORKDAYS formula. There you have it, the number of days you need to wait until you go away, or the number of days to countdown until that deadline! So you want to structure some text in Word 2013 in a nice easy way for your reader to… well… read. Start typing your bulleted list! If you want to take some text and turn it into a bulleted list, simply select the text and then follow the process above! Don’t you hate it when you can see all those “backwards Ps” all throughout your Word document. There are probably lots of other marks in your document too… like arrows, ambulance dots and more. Or next time you can use the shortcut key which is CTRL+SHIFT+8.